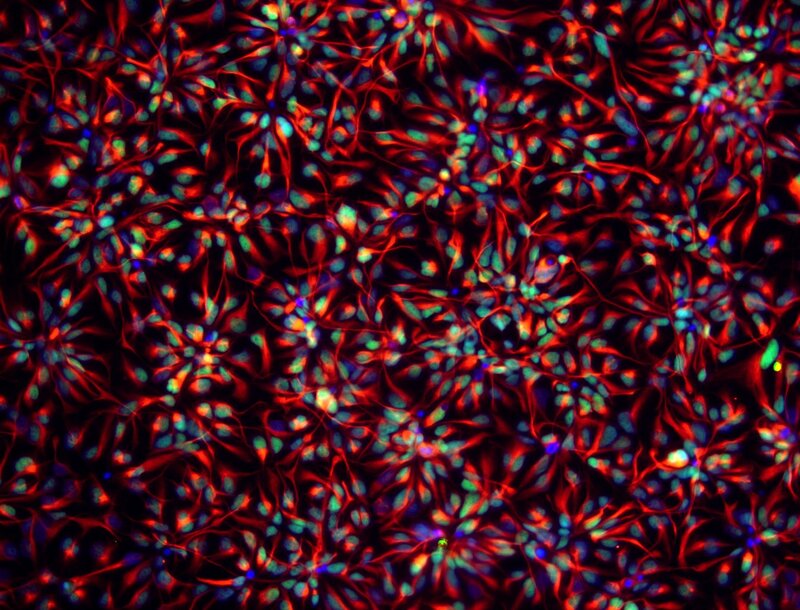 Neural progenitors cells differentiated from human embryonic stem cells. Northwestern Medicine scientists have discovered how the process of DNA methylation regulates the development of spinal cord motor neurons, according to a study published in the journal Cell Stem Cell. 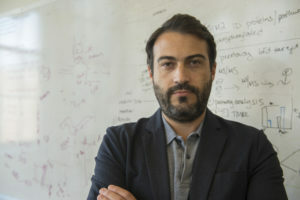 DNA methylation, an epigenetic mechanism that determines whether or not a gene is expressed, guides stem cells as they transform from blank slates into specialized cells, according to Evangelos Kiskinis, PhD, assistant professor of Neurology in the Division of Neuromuscular Disease and senior author of the study. Motor neurons are highly specialized neuronal cells that connect the central nervous system to muscle and degenerate in amyotrophic lateral sclerosis (ALS), also known as Lou Gehrig’s disease. The investigators used a variety of cutting-edge technologies — including single cell RNA-Sequencing and a methylation-focused adaption of CRISPR-Cas9 gene editing, known as epigenetic editing — to create a series of stem cells that each lacked different enzymes that trigger DNA methylation. After analyzing the stem cells along with the differentiating neural progenitors and the motor neuron populations, Alberto Ortega, PhD, senior postdoctoral fellow in Kiskinis’ laboratory and lead author on the study, concluded that the enzyme DNMT3A triggered DNA methylation, which in turn repressed or counterintuitively activated the key transcription factors that controlled differentiation of stem cells into spinal cord motor neurons. Evangelos Kiskinis, PhD, assistant professor of Neurology in the Division of Neuromuscular Disease and of Physiology, was senior author on a paper published in the journal Cell Stem Cell. “Our study nicely shows the importance of epigenetics on controlling different steps of the development of the human central nervous system by tuning the expression levels of transcription factors,” Ortega added. In addition, the scientists found irregular DNA methylation patterns could have downstream consequences related to the function of these neurons, according to Kiskinis. Further investigation could shed light on spinal cord diseases, as patients with ALS have irregular patterns of methylation, according to Kiskinis. In addition, patients with ALS exhibit a high rate of genetic variants associated with the DMNT3A enzyme — another puzzling link. “Whether it’s causal or not, we don’t know — but we’re going to figure this out next,” Kiskinis said. Charles Heckman, PhD, associate chair for research in the Department of Physical Therapy and Human Movement Sciences and professor of Physiology and of Physical Medicine and Rehabilitation, was also a co-author on the study. This study was performed in collaboration with Alexander Meissner, PhD, senior associate member of the Broad Institute of the Massachusetts Institute of Technology and an associate professor in the Harvard Department of Stem Cell and Regenerative Biology, and Michael Ziller, PhD, research group leader and principal investigator at Max Planck Institute of Psychiatry in Munich, Germany. The study was supported by the Les Turner ALS Research and Patient Center at Northwestern Medicine, the Muscular Dystrophy Association and National Institutes of Health grants 1P50HG006193, P01GM099117 and R01DA036898.